A boutique direct marketer foundered serving too many markets, until the company found its focus. While much of the country was finalizing Thanksgiving Day dinner menus, Peter Jupp in November of 2008 was weighing whether to sell his then 16-year-old direct-marketing firm. Despite years of serving a wide range of industries, from credit-card providers to retailers to nonprofits, Jupp couldn't shake the sinking feeling that Carlsbad, Calif.-based InfoCore was in peril. "It was certainly challenging," says Jupp. "I'm 61 years old, and I've been in business since I was 19. I've been through this kind of thing before, but I can't say I'm immune from these emotions." Aside from the slowdown caused by the recession, InfoCore realized it had overstated its revenues by $750,000 over a three-year span, due to an accounting error. The company also lost its biggest client, after it was bought out by a competitor. And it wouldn't be long before Jupp would learn his company needed an overhaul that required far more than just replacing a client or resolving an accounting snafu. "When your financial basis is threatened, and you start to wonder about the viability of the business you own and run, everything seems bleak," Jupp says. Instead of looking for a buyer, he decided to "face the headwinds and deal with it," he says. Jupp started cutting costs and slashing InfoCore's 20-person staff in half. He eliminated mainly back-office positions not driving revenue, such as administrative and accounting services, and outsourced those functions. The layoffs saved the company $200,000 per year. But it wasn't enough. Jupp and his wife had long considered bringing in new blood to take over the day-to-day operations, and now seemed the right time to act. 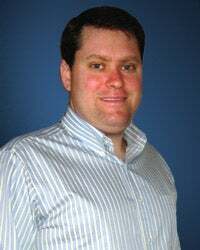 Through friends of friends, he met and shortly thereafter hired Scott Neuberger, who co-founded and ultimately sold Collegeboxes.com, a moving company that targeted the college set. Jupp figured that Neuberger, 29, had just what InfoCore needed: youthful energy and resourcefulness. By February 2009, Neuberger signed on as president and quickly installed a board of directors as part of a slew of changes to come. Scott Neuberger is president and part owner of InfoCore. "Coming out of my experience at Collegeboxes, which was running a true startup with limited means, I didn't know another way [to run a company] besides running a very lean and mean business from the backend," Neuberger says. Building on Jupp's cuts, Neuberger trimmed more expenses across the board, and dramatically tamped down travel and client-entertainment expenses. By encouraging online meetings and teleconferences instead, InfoCore saved another $125,000 per year. Collectively, the cost-cutting measures and layoffs trimmed operating expenses by 34% or about $425,000 a year. Aside from overhauling expenses, Neuberger realized one nearly fatal flaw needed fixing: InfoCore was trying to be all things to all people. By working with many different types of clients -- from nonprofits and service providers to retailers and credit-card issuers -- the company had trouble building market share in any one niche. To change that, he focused on just three areas where spending continued through the downturn: financial services, the auto industry and overseas marketing. • What can you do that others in your industry can't? • Where are the "blue oceans" -- or growth areas -- in your industry? • How can you improve your company's leadership team? First, Neuberger focused his attention to the burgeoning pre-paid debit-card market. He also noticed that auto manufacturers needed a hand tracking -- and attracting -- consumers in the market for a new car. There were growing opportunities to serve U.S.-based clients looking to expand in booming markets like Brazil and China, according to Neuberger, who is working on partnering with local direct marketers in more than 30 countries. The new, sharper focus on select industries paid off. Neuberger expects InfoCore's 2011 revenues to rise 30 percent to around $6.4 million, up from $4.8 million last year and $4 million in 2009. The company is also considering hiring again. Jupp realized he needed to step back so his company could move forward. "What [the company] needed was a change in energy level and change in focus. Bringing in someone young, with fresh ideas -- who didn't have to make the initial changes -- helped us get our customers and employees around a new leader," Jupp says. Besides realizing the benefits of maximizing organizational efficiency, Neuberger learned the critical importance of not trying to take on too many markets, and instead make sure your clients match up well with a company's capabilities or vision. Correction: InfoCore overstated its revenues by $750,000 over a three-year period, due to an accounting mistake. An earlier version of this article incorrectly described that accounting error.